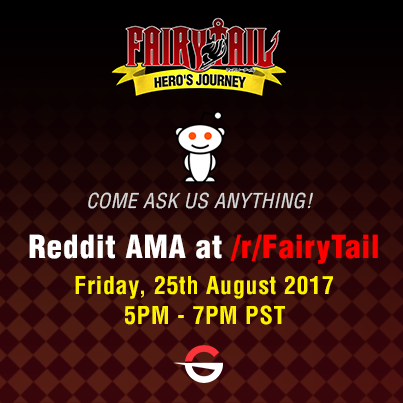 The Director of Community and the Director of Art at GameSamba will be hosting an AMA on the #FairyTail Reddit this Friday! We know most of you want to know a CBT date. We promise the date will be announced soon but we hope you join the #RedditAMA to ask us anything you want to know about Fairy Tail Hero's Journey or GameSamba. Chat with you soon!